Ohio University is offering a brewing short course July 13-18, 2017, which coincides with the start of Ohio Brew Week. This non-credit course provides amateur beer enthusiasts with a working knowledge of the brewing process and brewing science fundamentals. The course includes morning lectures, afternoon brewing demonstrations and practical experiences, followed by late afternoon and early evening brewing and tasting tours. 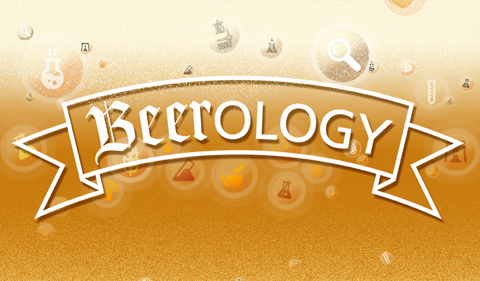 About the Short Course: Want to learn more about how to make and analyze beer and beer ingredients? Maybe even looking to make the jump from home brewer to professional brewer? This non-credit course is designed to provide intermediate and advanced brewing enthusiasts with a detailed working knowledge of the brewing process and brewing science fundamentals. The course includes morning lectures, hands-on afternoon brewing demonstrations and practicals, followed by late afternoon brewery and tasting tours. Labs will be held at the Jackie O’s production brewery and make use of Ohio University’s semi-automated 10-gallon brewing system. Athens, Ohio is an up-and-coming brewing city and a center for brewing in southeastern Ohio. The course also highlights the amazing work of our local breweries through tours and visits. Confirmed breweries to date include: Jackie O’s (uptown brewpub and Eastside production brewery and Little Fish Brewing Co. The Professor: Dr. Michael Held is an associate professor in the Ohio University Chemistry & Biochemistry Department. He has authored numerous papers in peer-reviewed journals, and his current research deals with cell wall assembly and architecture in a variety of plant models, including barley and wheat grain endosperm. He has 20-plus years of home brewing experience and is the founder and instructor of “CHEM4501: Principles of Brewing Science,” the very popular tier III brewing course at Ohio University since 2013. Experience? No prior brewing experience is required, but participants must be over 21. College-level courses in biology and/or chemistry will help. Hotel rooms will be made available at the Ohio University Inn. Cost: The cost of the short course is $1,620. Costs cover instruction and beer tastings/tours at each of the local breweries. Final payments are due by July 10. Registration Deadline: The registration deadline is June 16. Seating is limited. Would love to take this course if offered again. The timing just doesn’t fit my current schedule.